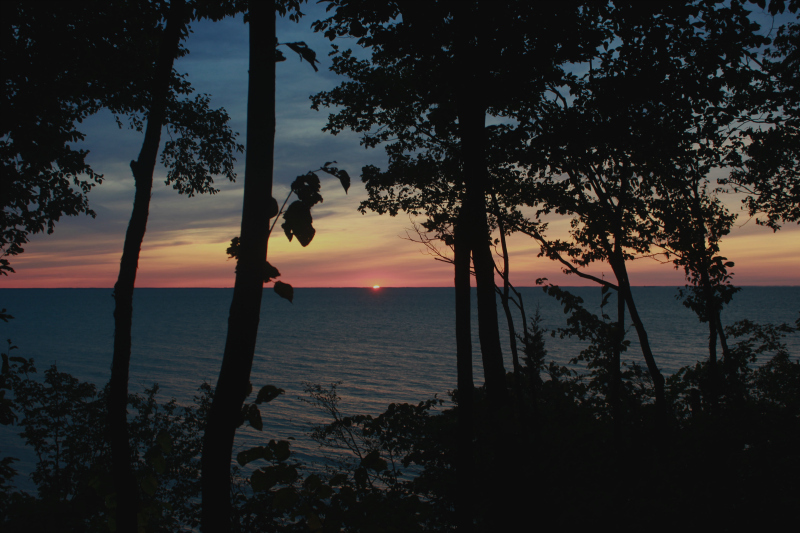 It’s hard to believe the first week of September has come and gone. The tourists have all returned home, the kids are back in school and families are settling into their new routines. Fall is on the horizon. In my neck of the woods, this time of the year is bittersweet. The long, hot and humid days, hanging out at the cottage and even roasting marshmallows around the campfire are now just good memories of summer. 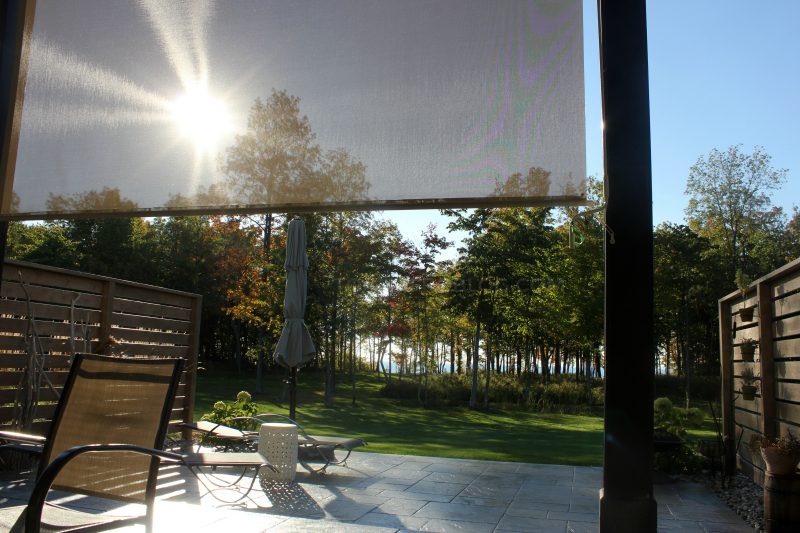 We look forward to what lies ahead with the changing leaves, dipping temperatures and shorter days. One of my favourite ways to celebrate the end of summer is at a place that I love, surrounded by the people that I love - Lake Huron with my family. Toss in some good food and good drinks and I don’t even want to go back to reality at the end of the weekend. The environment is very important to me. Being outdoors is very important to me. So, when we're visiting my parents, we spend every second we can outdoors - whether it be eating a meal, playing with the dogs or a walk on to the beach. Loving Mother Nature also means that I conscious of the my actions, including the food that I eat. When choosing sustainable food options, I opt for those that are harvested in a way that has minimal impact on the environment. Seafood, for example. We love to eat fish. But, the fish that we choose to eat without a doubt must be sustainable. This means that it must be caught or farmed in ways that consider the long-term vitality of harvested species and the well-being of the oceans. 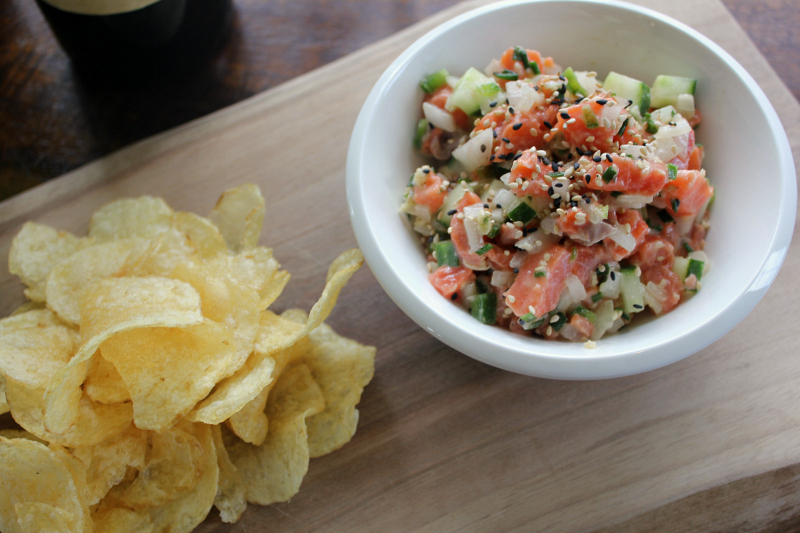 Made with fresh, sustainably caught Coho salmon and served with salty kettle chips, this recipe for salmon poke makes the perfect addition to any end of summer celebration. Place salmon in the freezer until well chilled, about 20 minutes. This will help with slicing the salmon. Thinly slice the salmon lengthwise into 1/8’’ wide pieces. Cut each piece into 1/8’’ long strips. Cut strips crosswise into 1/8’’ cubes. Place salmon in a medium bowl. Add cucumber. In a separate small bowl, combine lime juice, vegetable oil, jalapeno, shallot, ginger, lime zest and sesame oil. Stir to combine. Add sauce to salmon and cucumber and toss to coat. Season with salt and pepper. Transfer poke to a serving bowl and sprinkle with sesame seeds. Serve with salted kettle chips. 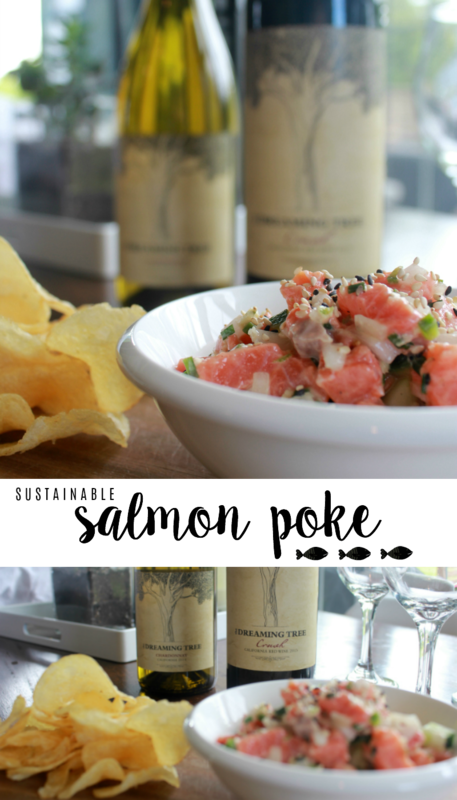 And what's better to pair with sustainably harvested seafood than sustainably crafted wine? Pairing wine and seafood doesn't have to be a challenge. And in our house, we're not picky. 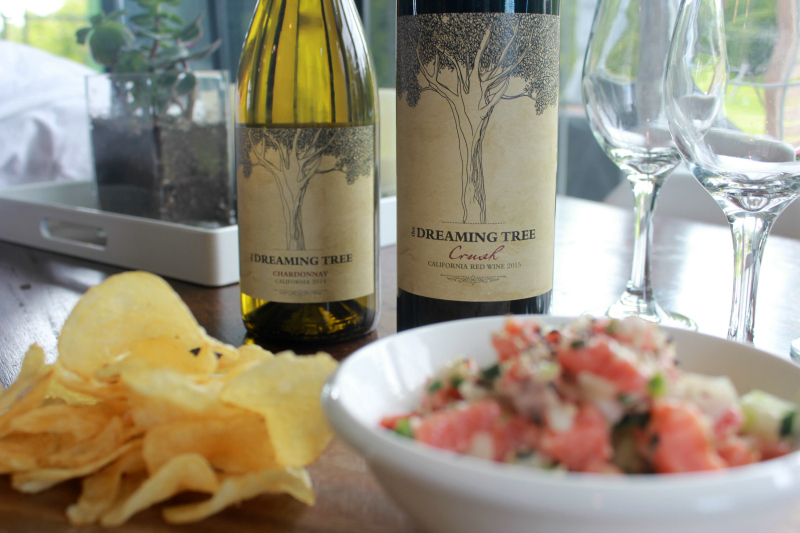 Right now, we're particularly enjoying The Dreaming Tree Crush (a tasty red blend) and Chardonnay. 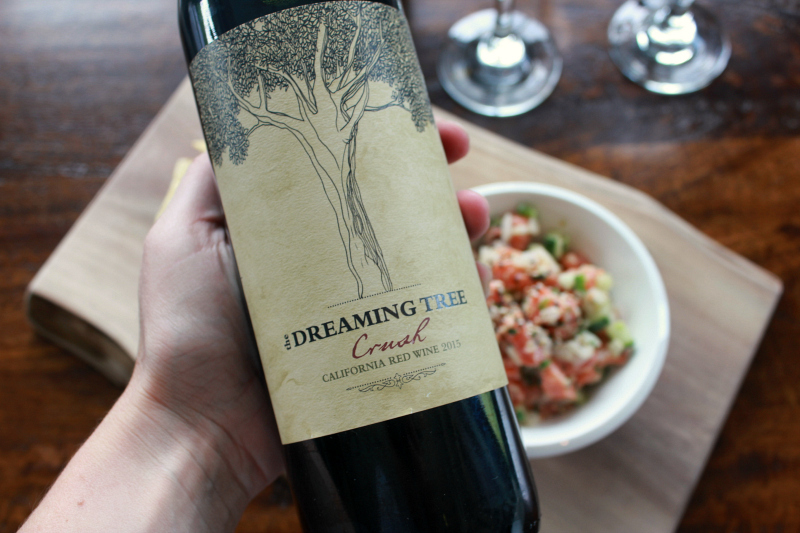 The Dreaming Tree makes high quality, delicious California wines at an affordable price point that are meant to be enjoyed in any group occasion. 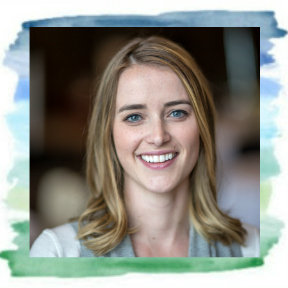 And while the brand is passionate about winemaking, they also have a social conscience in the commitment to protecting and restoring tree and forestry areas across the country and around the globe. You can find The Dreaming Tree wines at your local grocery, drug or supercenter stores. Be sure to check their website before you shop. 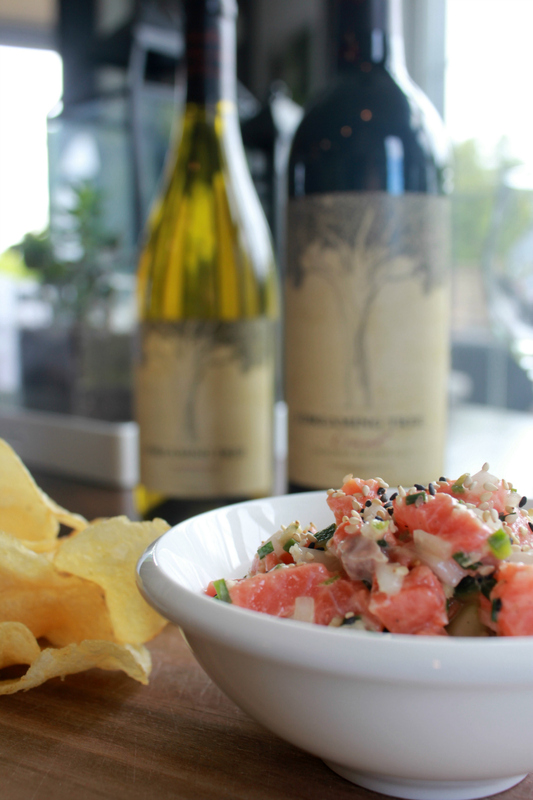 Pairing The Dreaming Tree sustainably crafted wines with sustainably harvest seafood seems like a no-brainer to me, and it is sure to spark a conversation and help foster a connection between the food we eat and drink and the company we keep with the environment. The perfect way to celebrate the end of summer. A beautiful sunset also helps. What is your favourite way to celebrate the change in seasons? Are you conscious of where your food comes from? I’d love to hear!